Last night Maserati celebrated its Instagram takeover campaign at a special event at The Vinyl Factory in the heart of London’s Soho, with live music performances from Tallia Storm and Hollie Stephenson, and an immersive journey through food and drink inspired by Maserati’s newest model; the Levante SUV. Maserati also took the opportunity to announce at the event the introduction of a petrol engine Levante S to the UK, joining the Diesel version launched last year. Since its launch, in November 2015, Maserati GB has been taking a unique approach to using Instagram by becoming the only automotive manufacturer to relinquish control of its Instagram channel on a monthly basis. Each ‘takeover’ has seen a diverse range of established and up and coming Influencers explore life with a Maserati from a different angle – from ballerinas, architects, a famous cycling illustrator, an international Rugby player, to a pop star touring London Fashion Week – each have curated their own unique content for the channel. As a result, Maserati GB has grown a visually rich, diverse and exciting Instagram channel; the perfect case study for the value of being socially inclusive rather than exclusive. At last night’s ‘Maserati Takeover’ event guests enjoyed a full sensory experience; including two live performances, powered by Bowers and Wilkins, from Hollie Stephenson who sang her singles Confession, My Own Tears and Lovers Game and Tallia Storm who sang a selection of songs including her latest single ‘Still in Love’. 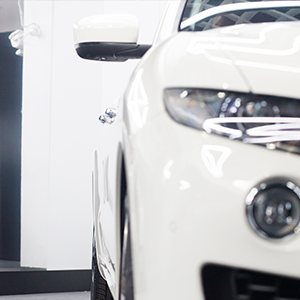 A gallery of Instagram photography showcased the vibrant content created over the past 18 months, and cocktails by Scotch + Limon in partnership with award winning Simone Caporale were served alongside fine Italian food by Francesco Mazzei – all inspired by the Maserati Levante. The luxury cocktails by Scotch + Limon were created by their mixologists and a team of influencers; all designed to tell the story of the Levante. Meanwhile, Francesco Mazzei – who took over Maserati’s Instagram channel in February – curated a canape menu deliberately designed to be different and unexpected. This month Maserati’s Instagram channel has been taken over by @nikon_photography_ who is embarking on a journey of discovery from London to Lands End with the new Maserati Levante.